Tattoos, heavy metal, crème brûlée-it's just a day in the life of Air Supply. Vocalists Russell Hitchcock and Graham Russell met in the mid-’70s while performing in an Australian production of Jesus Christ Superstar. Their indomitable, downy partnership went on to rule international charts in the ’80s. For millions of proud fans, Air Supply is the ultimate romantic soft-rock group, melting hearts with songs like “The One That You Love,” “Making Love Out of Nothing at All” and “Every Woman in the World.” To millions of others, it’s the ultimate guilty pleasure: Hipsters, hard rockers and Hells Angels publicly dismiss its sentimental, heavily orchestrated ballads as schmaltz while privately swooning to “Lost in Love” and “All Out of Love.” In advance of the group’s Chicagoland show this week, we phoned Hitchcock, 59, and had our ears caressed by his smooth vocal tones as he gave his take on Air Supply’s place in the Guilty Pleasure Hall of Fame. 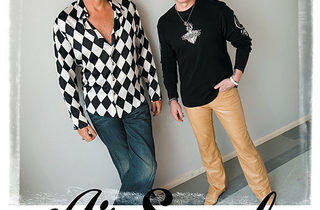 Time Out Chicago: Why should anyone feel guilty for loving Air Supply? TOC: Have you ever been tempted to rock harder? Russell Hitchcock: My favorite band apart from the Beatles is AC/DC. We played shows with them in the ’70s in Australia when we first started, and I would have loved to be in a band like that, but my voice isn’t suited to that kind of thing. TOC: What was the reaction of AC/DC fans when you opened for them? Russell Hitchcock: In those days, everyone was just happy to be able to work anywhere, but obviously if a show was a full-on rock & roll setup and we came on, we took our lumps. TOC: I imagine so. Australian pub gigs are infamously rough. Russell Hitchcock: Very early on, it wasn’t the best. People came to primarily drink and then to listen to loud rock & roll music. We played loud, but it certainly wasn’t rock & roll. I don’t remember any occasions of being too badly threatened. The guys that wanted to hurt you couldn’t stand up straight. TOC: Most would never associate Air Supply with AC/DC. Russell Hitchcock: I have maybe 15 or 20 tattoos, which quite surprises people. They say, “That doesn’t go with the music,” and I say that just because I sing and love these songs doesn’t mean I have to go around in a lemon-colored Ralph Lauren sweater tied around my neck and white pants and loafers. I am a child of inner-city Melbourne who grew up very poor and liked that kind of music. And one who, fortunately, met up with Graham Russell and gets to sing some of the greatest love songs ever written. TOC: What’s your most outrageous tattoo? Russell Hitchcock: I have an angel on my back, actually a naked woman with wings. TOC: That seems appropriate. What’s more romantic than a naked angel? TOC: Has there ever been a moment—maybe when you were hanging with Angus Young or trying to pick up a punk-rock chick or listening to a Philip Glass composition—when you felt a little guilty that you were in Air Supply? Russell Hitchcock: I have never, not for a moment, been embarrassed to be in Air Supply. TOC: What is Air Supply’s guilty pleasure? Russell Hitchcock: Well, I have to watch my weight because I’m getting on in years, but I love crème brûlée; it’s my favorite dessert. So when I eat that, which is rare, I feel guilty about it. This is going to be a really lame interview. TOC: What are you talking about? Air Supply is the crème brûlée of music! 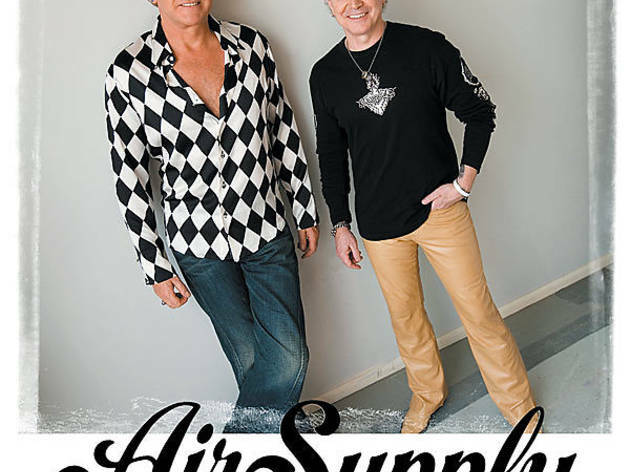 Air Supply drifts into the Venue at Horseshoe Casino on Friday 30 at 8pm.